Tune in for the latest from the HP printer contest, what's hot in the Nikonians Cafe', and find out who's released new camera bags! LowePro has announced the release of 2 new lines of bags, the Vertex series and the Napoli series. As well, they have their new Primus All-Weather Backpack in honor of their 40th anniversary. ThinkTank has released 23 new bags! Find out more here. The days of Life Magazine are coming to an end on April 20th. How do you store your camera? Nikonian trend is looking for fellow members in the NE Tennessee area! 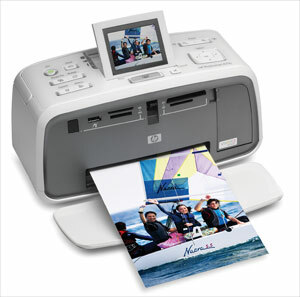 Listen in to find out how to enter to win the final HP Photosmart printer! Email Jessica or drop us a line in the Podcast Feedback forum! Battery and lighting product-maker Ansmann has announced two new vertical grips for popular Nikon Digital SLRs. The battery grip N-80 Pro promises up to 5000 shots on a single charge using a 3600 mAh battery source. The grip is comparable to the Nikon MB-D80, with both command dials, a vertical shutter button and as a bonus, the grip can power the camera on the go using an included DC 12V plug. For D40 owners, the N-40 Pro will deliver up to 2000 shots with a 2200 mAh battery. No vertical shutter is provided and the DC cable option is not available with this model. Both models also feature an AC supply that can power the camera via the grip, so this is good news for travelers looking to cut down on the number of rechargers to take on the road. A title synonymous with the words "photo magazine" finally ends. Time-Life Publishing announced the end of Life Magazine, with the last print edition being available 20-April. Despite three other "near deaths" starting in 1972, this retirement appears to be permanent as another printed publication succumbs to the onslaught and popularity of online journals and news sources. The accumulated ten million images over the history of Life's print run will be made available, ironically, online. In this week's show, Rick and Jason preview the HP Photosmart Pro B9180, discuss the concept of adding motion to your shots, and give their Top Ten Photo Tips. Of course, their "Top Ten" goes to eleven! Congratulations to our contest winner, Bob Geohegan, whose correct response to our trivia question won him a copy of "The Photographer's Guide to Capture NX" on CD-ROM. Congratulations go out to our Corporate Partner, Think Tank Photo, for winning a 2007 DIMA Award for Innovative Digital Products with their rotation360 Backpack! This innovative rucksack with it's rotating beltpack has become very popular among photographers. Be sure to check out Nikonians member Steven Kennard's review of this fabulous product. Our corporate partner Think Tank Photo has announced no less than 23 new bags in several series to meet the ever-changing needs of today's photographers. Of particular note is the new Urban Disguise series that allows photographers to conceal their valuable equipment in bags that don't scream "Steal Me!" The new Digital Holsters actually expand downwards to accomodate lenses with hoods mounted forward - perfect for the quick-draw shooter. The Change Up belt bag system is a great addition for any photojournalists working in the field, and the new Airport International meets all major travel requirements including security features. There's even more innovative and stylish products, so be sure to check out the entire product line. Lowepro has been busy cooking up a variety of new camera bag product lines, including the Vertex series of professional backpacks, the Napoli family of pouches for compact digital cameras, and to celebrate their 40th Anniversary, an innovative Primus All-Weather backpack that claims to be composed of 51% recycled materials. Things have been headed downhill for the former Imaging giant. First Kodak gets de-listed from the well known S&P 100 Stock Index in favor of Kraft Foods, then the company voluntary removes itself from the National Council of the Better Business Bureau rather than run the indignity of being expelled. Details in the 29-March-2007 Newsline International page. Our colleagues at LetsGoDigital took the new D40X and the 55-200mm VR lens for a spin at the Artis Zoo in Amsterdam. Be sure to check out the images here. The Nikonians Helgoland Nature Workshop (April 23 to 27, 2007) has just been notified of an unfortunate last-minute cancellation which has has made it possible for you to attend. This is your opportunity to join Nikonian Claus Brandt and a small group of fellow Nikonians in one of the best bird photography areas in Northern Europe. Nikonians who feel a bit of tech-envy at digital cameras with built-in sensor cleaning should wander over to the Hungarian website Pixinfo and read their shootout results. Contest Winner, Part Deux! Find out if you won the second HP printer, and how to enter to win the third. Also, information about the Photographers of the Year 2007 contest, and the latest from the Nikonians Community. MS Windows users can get Nikonians RSS feed with the KilpFolio program. FujiFilm has announced a firmware update for their S5 DSLR. New contest from underwatercompetition.com is totally Under The Blue! 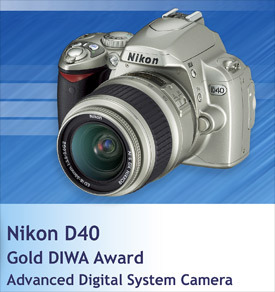 Nikon has announced an increased work-force in Thailand, and the D40 has won the DIWA Gold Award! Listen in to find out how to enter the 3rd week of the contest. The Photographers of the Year 2007 Contest is now open!! Categories are "OPEN", "STUDIO", and "PETS". Click here for more information! Nikon's lightweight entry-level digital single-lens-reflex (DSLR) camera has earned the DIWA (Digital Imaging Websites Association) Gold Award for its high overall performance at a very competitive price. The DIWA press release announcing the selection of the Nikon D40 as winner of the award noted its "many internal technologies are inherited from its far more expensive siblings, the Nikon D80 and D200." With its combination of 3D Colour Matrix II metering, high quality image-processing algorithms and fast performance, the D40 delivered an excellent quality to price ratio according to the announcement made today. The D40 win adds to an impressive list of DIWA awards already earned by the rest of the Nikon DSLR line up. The Nikon D50 was named the "Best Digital System Camera" when it earned the 2005 DIWA Platinum Award. 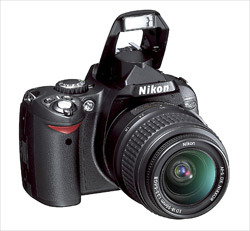 The Nikon D200 was honored with a Gold Award announced in May 2006, and the Nikon D70 earned the 2004 Gold Award. Amsterdam, March 22, 2007 : DIWA (Digital Imaging Websites Association), a world-wide organization of collaborating websites, today announces a DIWA Gold Award to the Nikon D40 digital single-lens-reflex (DSLR) camera for its high overall performance at a very competitive price. Many people believe that high image resolution is synonymous with high image quality, but this is not always the case. High quality optics, first class image processing and ample image resolution is usually the best combination for optimum image quality and camera performance. When introducing the D40, Nikon claimed that 6 Megapixels is the ideal image resolution for the targeted consumers. After testing numerous samples of the D40, the international DIWA group of experts unanimously confirms Nikon's statement. The Nikon D40 is a quality built camera with good ergonomic design, user-friendly operation, fast and precise functions, excellent image quality and last but not least, at a very attractive price. Kai Thon, DIWA's test manager says: "The DSLR camera market is booming and new models are introduced at rapid pace. DIWA members are pleased to confirm that the Nikon D40 is far more than just another DSLR. Built on NikonÃ¢â‚¬â„¢s long experience and indisputable reputation for quality, filled with the most important goodies from more advanced Nikon models, with priority on performance rather than marketing tricks and gimmicks, the D40 is currently as close to the perfect DSLR you can get for a reasonable sum of money". Over several decades, Nikon has built their remarkable reputation primarily as makers of top quality 35 mm system cameras and lenses. This legacy is forwarded into the digital age by maintaining the classic Nikon quality camera bodies and high performance Nikkor lenses, supplemented by state-of-the-art digital imaging technologies. This and a most competitive price tag make the Nikon D40 an obvious winner of a DIWA Gold Award. For further information about DIWA please visit our Web site - https://www.diwa-awards.com - or email us at info@diwa-awards.com. For a recent news article regarding a VIP visit from Panasonic representatives to DIWA member DigIT and the test lab, click here. DIWA Labs is is headquartered in Norway and managed by Kai Thon. Want to share your experiences or get tips on the full line of Nikon DSLR's? The latest news and information regarding the D40, D40X and D50 is included in one of our fastest growing forums. Our Nikonians who have chose to focus on the D70 have their own active community. Our D80 forum is often a meeting site for those who are seeking high end performance features at an affordable price. The D200 and D100 users includes photographers with a variety of semi-pro and professional backgrounds. The D1 and D2 Users Group covers the upper end of the Nikon DSLR line up. A recent CNET blog cites a Merrill Lynch analyst stating Nikon has added 6,000 more workers at a factory in Thailand that produces Digital SLRs and lenses. Of significant interest were the type and quantity of photographic equipment that the plant generates in a month: 100,000 D80, 80,000 D40, 90,000 D40X and 230,000 lenses! Our U.S.A. warehouse has moved to the "Big Easy." The PhotoProShop.com's US warehouse has relocated from Philadelphia to New Orleans, and with the move, we have further increased our availability in the shop. Nikonian Amy Enyart will help you with all your questions and needs Monday thru Friday during business hours. We are shipping daily throughout North America and carry a large number of items in stock. And, in case you are wondering about the safety of our inventory, the new warehouse is located in a section of the city that survived the damage of Hurricane Katrina. It is our pleasure in the Nikonians community to help support the revival of this area. In the coming week we will run a special campaign in the shop to celebrate our new warehouse. Do not miss out. 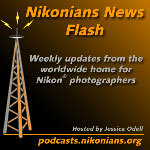 Make sure you check out the Nikonians news blog! For our U.S. customers, you can visit the PhotoProShop here. Fujifilm has released an updated firmware for the new S5 Pro Digital SLR. 1. Better white balance when setting FLASH-mode for the WHITE BLANCE. 2. Better white balance when setting AUTO-mode for the WHITE BLANCE and using Nikon non-CPU lenses. *It requires to set the maximum aperture according to the FinePix S5 Pro Owener's Manual(p.121-p.124). By using the small, free RSS reader klipfolio on your MS Windows desktop, you get the latest photography news, local weather forecasts and more directly on your desktop. It is a nifty, small application and very easy to configure. By using it, you are staying up-to-date without the need to start any separate applications or browsers. You can download and install the Nikonians Clip for KlipFolio together with the KlipFolio program from their site. More of our eagle-eyed Nikonians have spotted a product announcement by Tokina for 35mm f2 ATX Pro Macro specifically for APS-C Digital SLRs. The new lens will be displayed at Tokyo's PIE2007 Imaging Show later this month. Contest Winner!!! Tune in for the latest news about Nikonians Workshops, as well as to see if you've won the first HP printer...and how to enter to win the second! The newest Nikon DSLR, the D40x, gets an underwater housing from Fantasea! Check out our blog and the latest episode of The Image Doctors for PMA reports! A fellow Nikonian is looking for information on photography in Maine. Look here for the upcoming North American workshops. Take our poll! 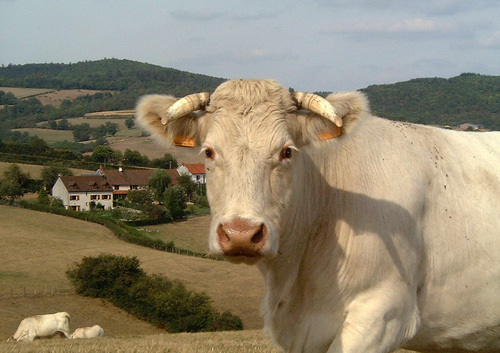 Are you interested in a Nikonians event in Aires, France in early July? Vote now! Listen in to find out how to enter this week's contest. Here is a sample of the photographic work of this week's winner, 10-year-old Luke Birtles! Monte Zucker, diagnosed with pancreatic cancer last year, passed away last night. The well known Portrait and Wedding Photographer, Educator, Teacher, Instructor, Mentor & Author, with over 50 years of experience, was an extraordinary asset for photographers looking to take their skills to the next level. The United Nations honored him as Portrait Photographer of the Year 2002. Revered by many Nikonians, he will be missed. May he rest in peace. Update 01 - There will be a memorial service for Monte in Washington DC on Sunday, April 22nd from 1-4 PM. Details are still tentative; those wishing to attend should follow the thread on the Monte Zucker forum for further information. Nikonians News Flash fans will have a chance to receive one of four new HP A716 SnapShot printers by paying attention to Jessica's podcast directions as she gives you the correct email address, subject line and content of a free email entry. Jessica announced the offer in her latest podcast and the deadline for week one is Friday night U.S. Eastern Daylight Savings Time at 9 p.m. - March 16. Don't worry if you missed that deadline-- she has three more to share! All you have to do is listen to the podcast and follow her instructions on sending an email to her News Flash address (with the correct subject line and message content) and you may find yourself among the lucky four winners of this printer. For a listing of all Nikonians podcasts, click here. Jason went to Las Vegas to attend PMA 2007. Hear his first-hand report of the show, and then take a trip down memory lane as we recall the classic Nikon FM and FE bodies. Be sure to check the show notes page for details about this week's trivia contest! Enter the Image Doctors Trivia Contest and Win! Be the first person to correctly answer the following question in the Podcasts Feedback Forum, and you will win a copy of Jason's eBook, The Photographer's Guide to Capture NX, on CD-ROM! Question: What was the maximum frame advance speed of the Nikon MD-12 motor drive when it was used on a Nikon FE2 body? We'll give the answer and announce the winner next week! SanDisk is bringing the reliability of solid-state technology used in digital media cards to laptop hard drives. Solid-state memory has been widely used in Compactflash, Secure Digital and other memory cards, and has proven it's reliability under a variety of environmental conditions. Unlike hard drive platters, Solid State Devices (SSD) have less moving parts promising six times more reliability than current drive technology. The new drive will be available in 2.5" format, and will be displayed at the CEBIT show in Hanover this month. Nikon, Sigma, and Tamron all have new lenses! Tune in to find out more, and hear about the latest News Flash Contest! Nikon has announced the new D40x, as well as its 55-200mm DX AFS VR lens! Read more here. Sigma has unveiled its biggest lens yet! Find out more about the 200-500mm f2.8 lens. Tamron has joined the image-stabilization revolution with its newest lens, the 28-300mm f/3.5-6.3 XR DI VC Aspherical zoom lens! Check it out! Wedding photographer wanted! For wedding/reception photography this September in the Phoenix/Mesa area. See the thread in our Photographers Wanted forum! Be sure to listen in to find out more! Flower ID needed! Please check out these photos in our A Picture I Took forum, and help us out! SanDisk introduced an 8GB SDHC media card at PMA. The Ultra II rated memory card can hold an approximate 4,000 images or 15 hours of MPEG-4 video, while reading and writing at approximately 9Mbps. Bundled with the package is a matching USB2.0 card reader. In a simple press release, Nikon announced the death of the the View Pro software; the successor to the free Nikon View/Editor that came bundled with many Coolpix and Digital SLR cameras. We decided to suspend the release based on our judgment that the new software's performance would not be optimal for the new environment. 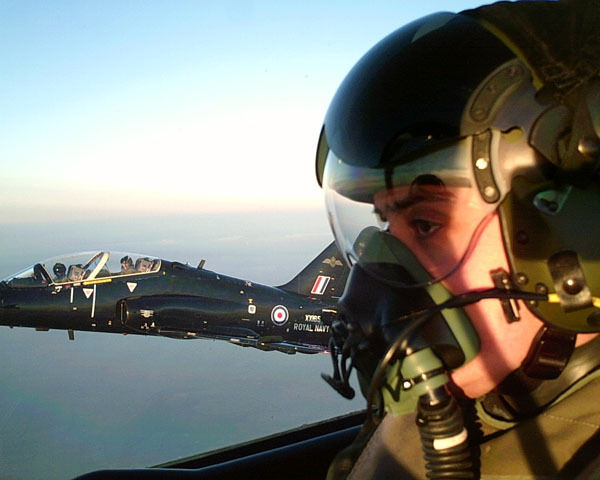 We are currently developing a new generation of image management and browsing software for download from our website, and plan to begin offering this before the end of 2007. Join the discussion on this issue at Nikonians. Our members in the UK have a chance to win their very own copy of the new 10MP D40X that was announced this morning at PMA. This week's new is all about the web! NikoScope plug-ins, Photoshop in a browser, and a Nikon website about VR! NikoScope gets new browser plug ins! Check out Nikon's site all about VR. Our friends at Imaging Resource have news about Adobe integrating Photoshop into browsers! Check out our blog for PMA pre-show announcements! The March Online Photo Assignment is Black & White. The March Challenge from the Micro, Macro, & Close-Up Photography Forum is Electronics. Interested in visiting Avery Island, Louisiana? Let TJCajun know here. Tune in next week for more information on our latest News Flash contest!! Our colleagues at Imaging-Resource report that Adobe is planning to integrate Photoshop-brand editing software into popular online photo communities. Thanks to some of our eagle-eyed members, Nikon has posted a new website showing the benefits of their Vibration Reduction capability. Rick and Jason team up again to answer listener questions about Nikon remote cords, and offer suggestions for a good camera strap. Rick has a Lightroom preview, and then the "doctors" have a philosophical discussion on digital workflow.